With a high percentage of precipitation in the forecast, today’s plan was not so much to chase the sun, as to find a place with the least amount of rain. 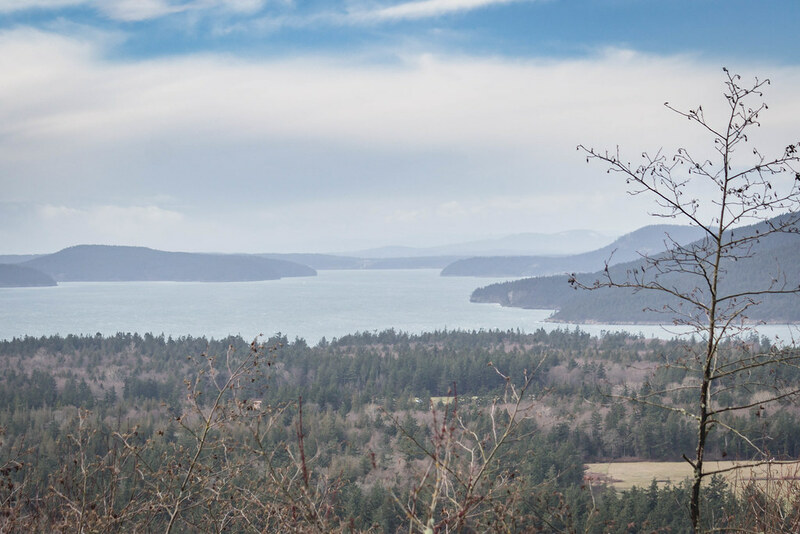 After last week’s visit to Anderson Mountain, we sought out another new destination in the Puget Sound area, hoping to dodge the bad weather altogether. Guemes Island was just a stone’s throw away from the mainland and a five-minute ferry ride from Anacortes. 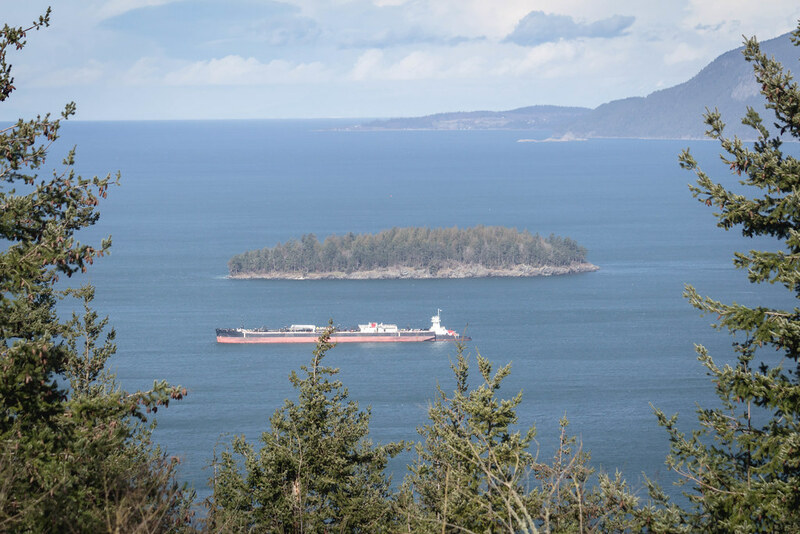 We had seen the island from Oyster Dome on several occasions in the past. Since we’d spend most of our time in the Cascades and out east, I was suprised to find that this hideaway gem was actually open to the public. Once getting off the ferry on the other side, a two-mile drive east along the south shore quickly got us to the trailhead. Not much to see through the forest, but the sun had been out for a while so that’s good news. 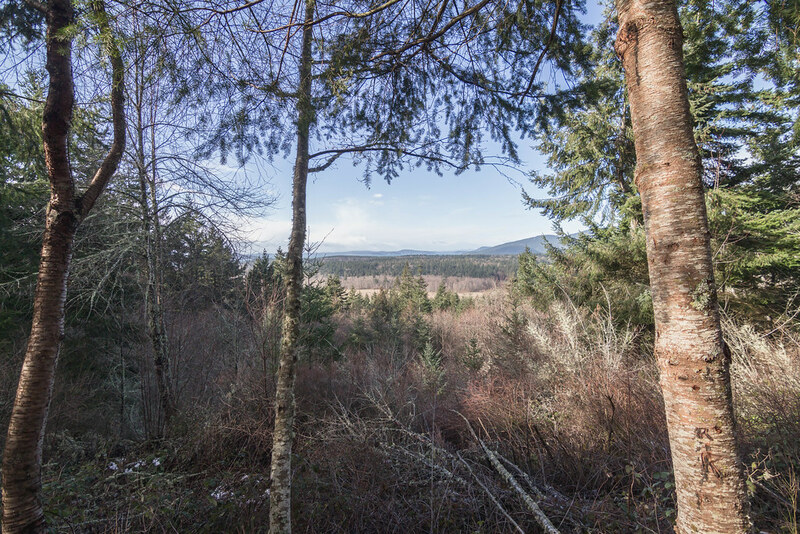 A scenic overlook at 450′ elevation provided views to the flat land below and Cypress Island in the background. Another 10 minutes of hiking and we were on the summit, where a couple with two pups were leaving just as we arrived. We all agreed to have lucked out and got the beautiful weather despite the unpromising weather forecast. We enjoyed a long break on top while savoring views of other islands and the calm around us. On the way down, we opted for the south trail to make a loop out of the trip. Trail turned into road by the cool looking “Rainbarn” next to the radio facility, where we got a glimpse of cloud-capped mountains to the east. The road eventually connected with Holiday Blvd., where we hiked west and back down to South Shore Road. From the road, we then hiked .4 mile north and back to the trailhead with one other car parked behind us. Only 1 PM and we had plenty of time to spare, so I decided to drive around the peaceful island through the main roads. 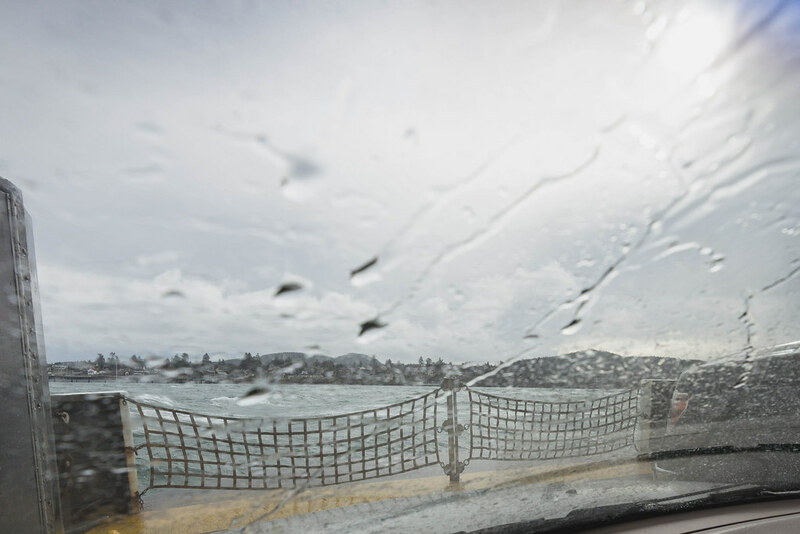 Total distance from ferry to ferry was just 11.4 miles, tiny island!